The DJ Connection has entertained at thousands of events since 1981. We have the personality, experience and talent to make your event a huge success. Providing top quality disc-jockey services is not a hobby or sideline, it is our full time business. We have a fine reputation for professional, reliable and first class disc-jockey services. Our record of service is unmatched. We have the best DJ’s and support staff in the business. Each of our clients receives an exceptional level of personal service and attention. Let The DJ Connection count you among our satisfied clients. You can rest assure that your disc-jockey will be an experienced professional, trained and equipped to deliver a perfect performance. Our track record of reliability is unmatched. In our sixteen years of service, we have never canceled any event. Our experienced DJ’s dress formally in a tuxedo, and emcee professionally. Each of our disc-jockey’s have completed an extensive training program which covers all aspects of performance. You can expect your DJ to be friendly, attentive to details and able to assist you in any announcement making. 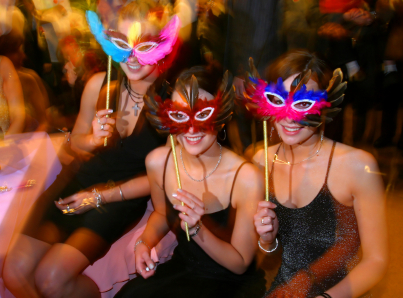 We will provide the right atmosphere to keep your guests dancing all night. 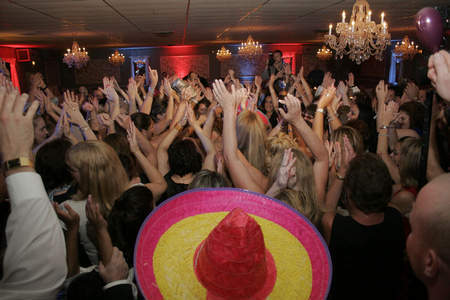 The amount and type of group participation and line dances we provide are as individual as you are. If you love the Chicken Dance, we do too! However, if you HATE the Chicken Dance, we hate it too - at least for your particular event. If you ever been to an event where the disc-jockey sat behind the equipment table and "just played music", and are looking for the DJ to get your guests involved in group participation dances, we are happy to incorporate them into our performance. In fact, we are good at energizing a group of people with group participation dances and activities. If, however, group participation dances isn't your cup of tea, we are happy to provide a great DJ with a great mix of music! 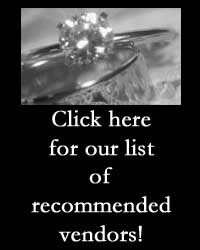 Specialty music such as: Polka’s, Jazz, Classical, Waltzes, Beach Music, Reggae/Caribbean, and other ethnic selections. Our music library is continually updated with new hits. 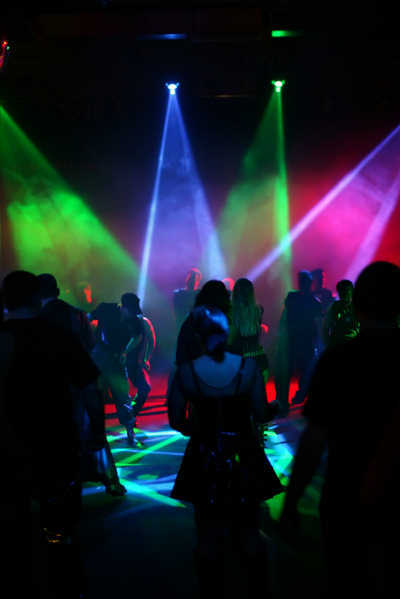 We present those most popular selections that are certain to inspire your crowd on the dance floor. Each and every event is different, and requires an assessment by the disc-jockey to determine what type of music to play. Our Disc-Jockey’s will normally start the dancing segment of your event by playing a variety of music in a short period of time. Usually, after the first 30 to 45 minutes, the disc-jockey will get a feel for what your guests like to dance to, and make the necessary adjustments to the music rotations. Your music?.....Yes! Absolutely! 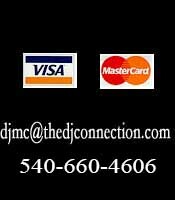 We provide each client with a music listing titled "The DJ Connection’s Most Requested Songs". This listing contains the most popular songs in our music library. Your disc-jockey will gladly incorporate your requests with your guests, in addition to playing the proven motivators that inspire dancing. Let us know the type of music you want to hear, as well as the type of music you wish to avoid.